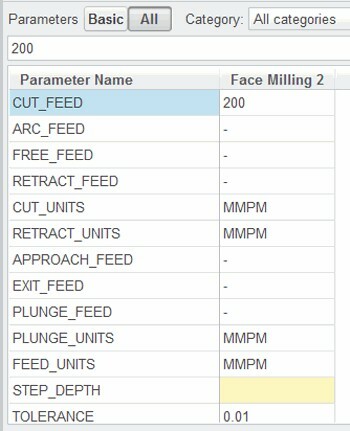 The workcell specifies the type of machine used when creating NC sequences, for example, mill, lathe, or mill-turn. You must specify a workcell before you can create NC sequences. 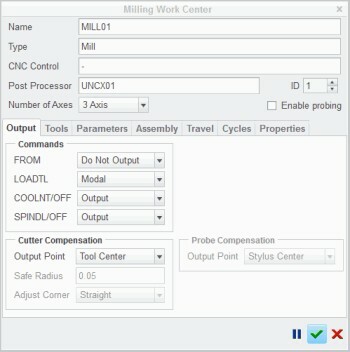 You configure a workcell within the Machine Tool Setup dialog box. You can specify many different options that describe the type of machine tool configuration. You must specify the workcell name and the workcell type. This can be Mill, Lathe, Mill/Turn, or Wire EDM. 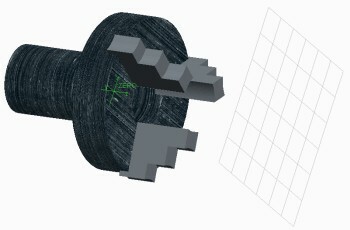 The number of axes you can specify is dependent on the workcell type. • Mill – 3 axis (default), 4 axis, or 5 axis. • Lathe – 1 turret (default) or 2 turrets. 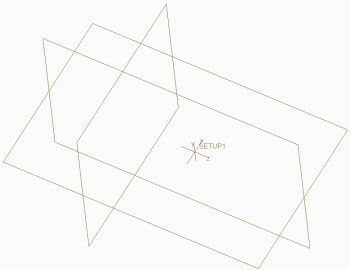 • Mill-Turn – 2 axis, 3 axis, 4 axis, or 5 axis (default). • Wire EDM – 2 axis (default) or 4 axis. You can also specify a number of other items including the controller name. 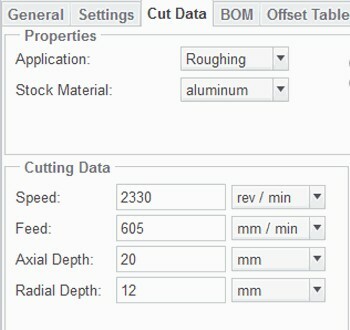 The Work Center dialog box has a number of tabs that enable you to configure different optional elements of a machine tool. – Cutter Location (CL) Command Output Options – You can specify how the FROM, LOADTL, COOLNT/OFF, and SPINDL/OFF statements are output in CL data files. ♦ Tool Center – CL data is output with respect to the tool center. 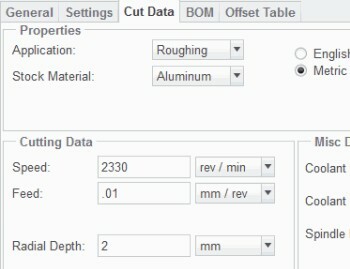 ♦ Tool Edge – CL data is output with respect to the cutting edge of the tool. • Tools tab – Specifies the time needed to change a tool, in seconds. 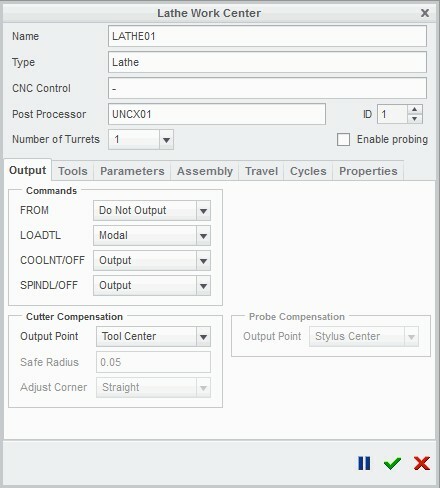 You can also access the Tool Setup dialog box to configure tools associated with the machine tool. • Parameters tab – Specifies the maximum spindle speed, and the spindle horsepower as well as the rapid feed rate units and the rapid feed rate. • Assembly tab – Specifies the machine assembly to be used when displaying tool motion on the machine tool. 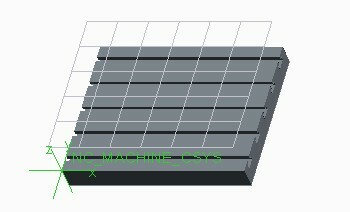 • Travel tab – Specifies the travel limits and the stroke for the machine tool along the X-, Y-, and Z-axes. 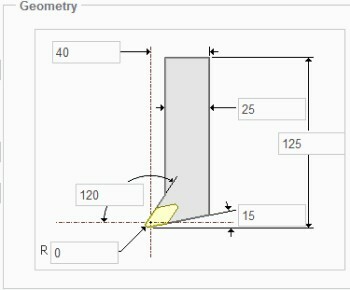 Note, values for the travel limits along the axes should be the actual dimensions that indicate the extent of the machine tool workspace relative to the Program Zero coordinate system. If you output CL data that exceeds the defined limits, an information window appears, listing the values of the limits that have been exceeded and their corresponding values. • Cycles tab – Enables you to configure custom cycles for holemaking.